Thanks to everyone who came to the demonstration for the Camden New Town Festival at St Paul’s. 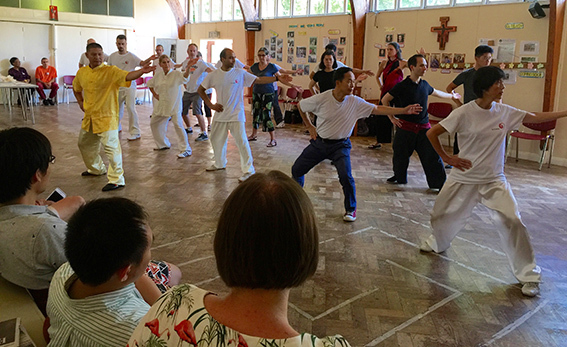 Shifu Liu led us through some Foundation training where everyone could join in, before doing the Chen Four-Direction fist and some Bagua and Xing Yi (alternative internal martial arts training for a workshop he wants to do in August). Lai and Piyush performed the 56 Competition routine, and we finished up with the Chen Sword form. They all gave great performances and it was very enjoyable despite the heat. Thanks very much for coming along, and giving us your time and energy.